OINGO BOINGO DANCE PARTY ANNOUNCED AS HEADLINER FOR MIDSUMMER SCREAM’S NOCHE DE LOS MUERTOS BASH! LOS ANGELES, May 11, 2016 – Let’s have a party, there’s a full moon in the sky! Midsummer Scream is thrilled to announce Oingo Boingo Dance Party will headline its Noche de los Muertos (Night of the Dead) celebration and costume contest at the Long Beach Convention Center Saturday evening July 30th, 2016. Oingo Boingo Dance Party will headline Midsummer Scream’s 21+ nighttime event, Noche de los Muertos, featuring a Best & Worst of the ‘80s Costume Contest, which will be judged by the band members themselves during the middle of their 90-minute concert performance. Midsummer Scream attendees are encouraged to dress up in their best – or worst – ‘80s Halloween costumes and strut their stuff across the stage as Johnny Vatos, Steve Bartek, John Avila, Sluggo and the gang cast final judgment! For the ultimate Boingo fans in attendance, a limited amount of “Tender Lumpling Experience” passes are now available for purchase, which offers admission to the Noche de los Muertos party, as well as a personal meet-and-greet opportunity with the band that includes photos and autograph signing prior to the concert. Face-painters will be on hand to transform guests into fearsome skeletons or sweet sugar skulls if they’d like before and during the party for a small price – perhaps a golden coin, or a shiny silver dollar on either eye. Tickets for Noche de los Muertos featuring Oingo Boingo Dance Party are now on sale at http://www.MidsummerScream.org, and will be sold throughout the day Saturday July 30th including at the door. Tender Lumpling Experience passes will sell out extremely fast – there is a frightfully limited supply! Midsummer Scream is California’s premier Halloween, haunt and horror festival featuring more than 100,000 square feet of artisan vendors, live entertainment, specialty workshops, makeup demonstrations, a multipurpose theater, haunted attraction previews and experiences, Hall of Shadows darkened scare zone and more. One of the biggest draws to Midsummer Scream are its world-class theme park panel presentations throughout the weekend. They include Knott’s Scary Farm (Sunday July 31st), Queen Mary’s Dark Harbor (Saturday July 30th), Six Flags Magic Mountain’s Fright Fest (Sunday July 31st), Universal Studios Hollywood Halloween Horror Nights and Walt Disney Imagineering (Saturday July 30th). 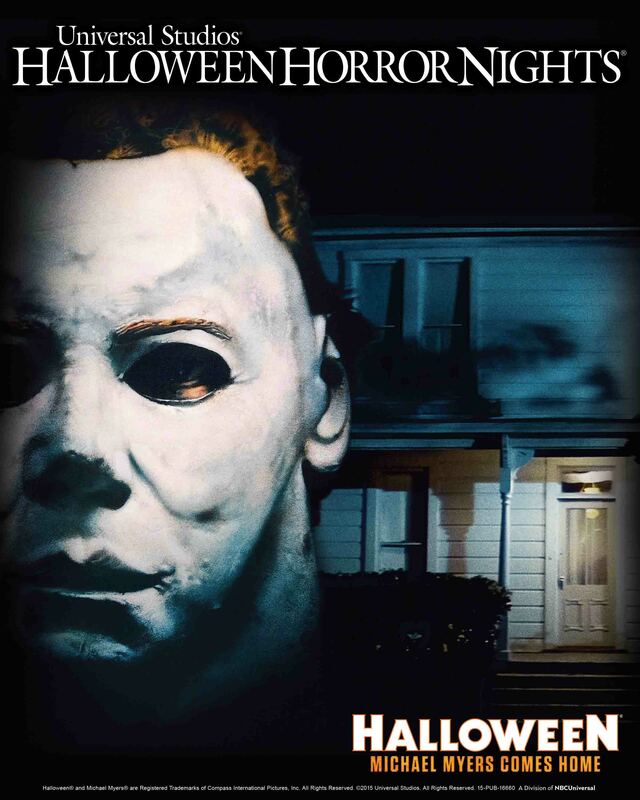 Michael Myers, aka “The Boogeyman,” takes a stab ata psychiatric hospital to take bloody revenge on new and unsuspecting victims.